Shuujin's dedicated effort pays off. 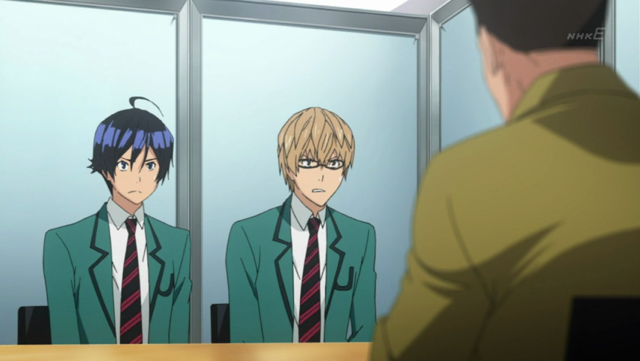 Bakuman episode 8 really picks up the pace, bringing us through the manga production process very quickly, and resolving the Tezuka award. It also had my favorite ending of the series so far. 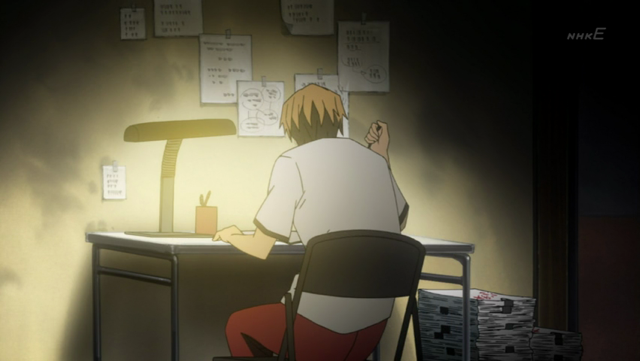 Shuujin's dedication is apparent, as he produces notebook after notebook of story ideas. With their new goal, a submission for the Tezuka prize, in sight, Shuujin takes the lead. Churning out several notebooks full of story ideas, before the pair settle on that “one in a million” that the boys think has a chance at taking the prize. In one scene, a crude sketch is faded through several phases of development, to completion in full color. Whereas this scene gives the impression of layering a guache-like paint over an under sketch (drawn, possibly, with a marker), I’ve seen a similar effect produced by a commercial t-shirt artist. He designed prints by taping several layers of transparent film over a pencil sketch, and painting different colors on different layers. Nowadays it is easy to do such things with computers. I can't believe I'm happy to see this place again. 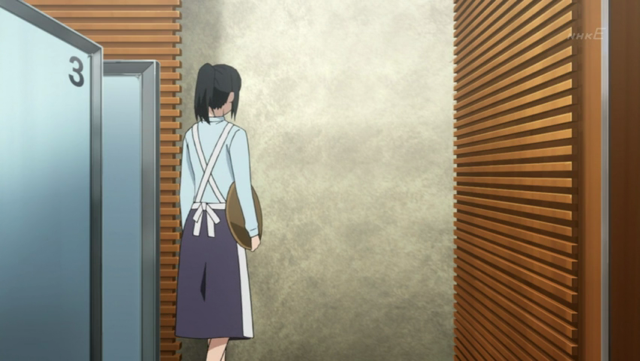 She is wearing an apron. Does that mean they have to-the-cubicle maid service? Once they turn in their submission, the pair practically stop working, and spend their time daydreaming instead. :face-palm: No, final eight means 12.5% chance of winning. 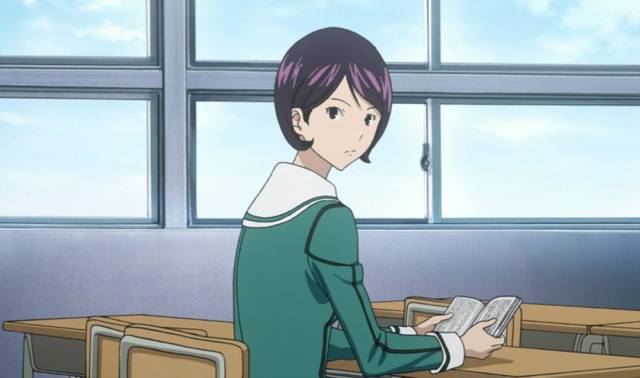 Saiko and Shuujin get caught up in the excitement of the Tezuka Award contest. When things don’t go as well as they had hoped, both feel crushed at first, but struggle to get back in the saddle, only to find a jackass braying at their failure. 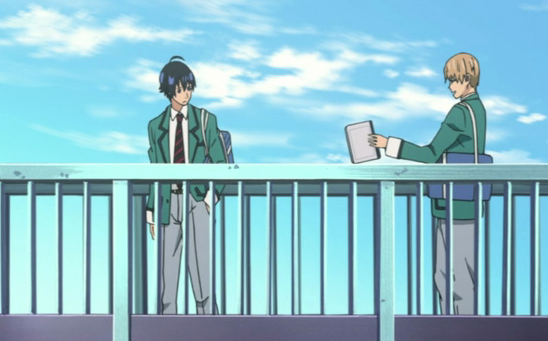 The commotion causes quite a stir as classmates see another side of Akito Takagi. 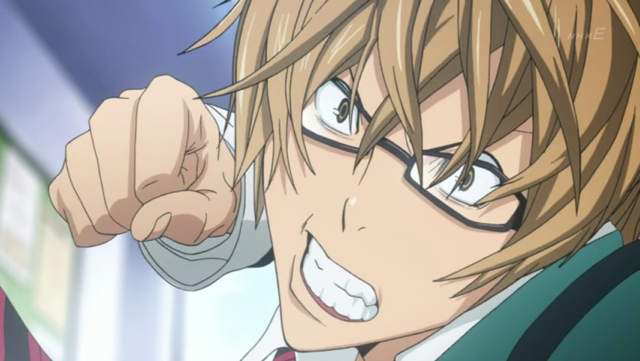 I have to say, Shuujin was fully justified in punching that guy out, because he was defending the honor of another person. I don’t think he would have acted violently if the criticism was made of his writing, so he was not acting selfishly. Of the final eight, four will be rewarded, three will get honourable mentions and one gets nothing. No no no, IIRC Three will get honourable mentions, one will receive the grand prize, and the other four’ll just appear as a blot on the side of the screen. Either that or saying 12.5% was too long for Shujin’s intellectually capable mind. 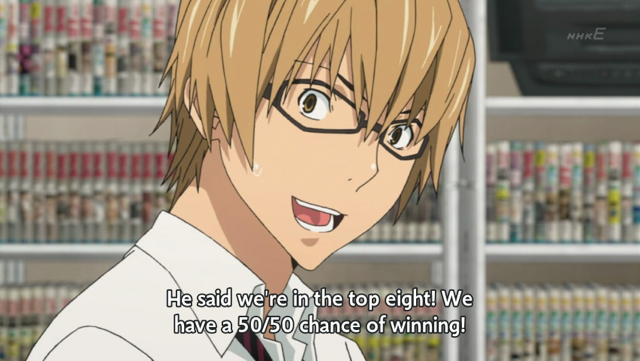 Anyways, this part of Bakuman seems to me the most unrealistic. Sure, a bunch of other things are stupid, but two amateurs producing works of this quality? I also still don’t get Shujin’s role in their team – he writes stories, sure, that takes time, but really, he doesn’t do much else. 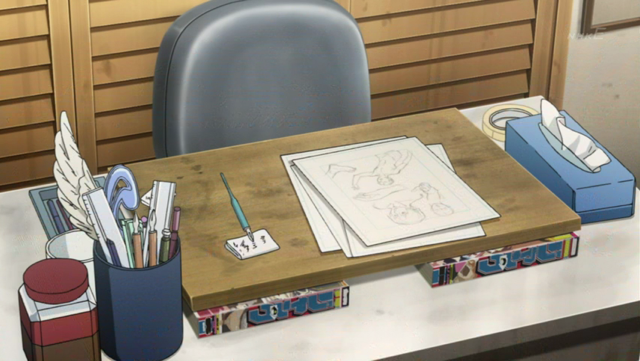 This is even more implied during that one scene, where Saiko is busy drawing and improving his drawing skills, whereas Shujin’s just reading manga. If the competition for manga is so stiff that the plot writers even have to undergo their own rigorous training, then I have absolutely no idea how Saiko can keep up with such expectations. 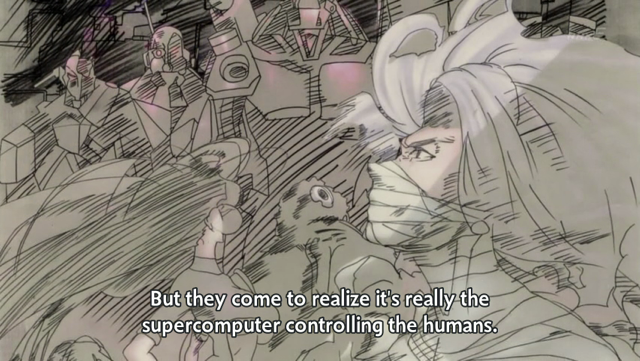 Maybe that’s why they only got a 3 for the art – plot’s a (relatively) simple aspect, but art needs real skill. I’m pretty sure what happened was: one winner, three runners-up and four honorable mentions. They didn’t win, they didn’t get a runner-up slot, but they were clearly mentioned honorably, because people looked at the issue of “Jack” and saw their names and a small sample illustration.